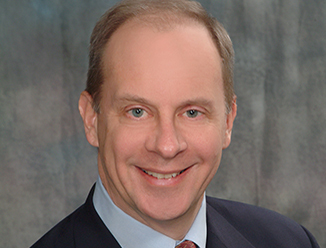 Michael S. Duffy serves as Chief Operating Officer for Trammell Crow Company. In this role Mike oversees asset management and TCC’s investment approval process, marketing and communications, human resources, finance and legal/risk management activities. He is also responsible for tracking investment performance and assisting with the capitalization of investments. Mike joined TCC in October 2000 and as Senior Managing Director had previously served as head of TCC’s Investment Management Group, National Director of Investment Services and head of TCC’s National Accounts group. Before joining TCC, Mike was a Managing Director at Principal Financial Group, where he established a centralized acquisition and disposition function for the Company. Prior to that, he oversaw all asset management activity of Principal’s real estate equity portfolio throughout the Northeast, Mid-Atlantic and Central regions. Prior to assuming his role as COO, Mike held a variety of senior leadership positions at TCC in brokerage services and development roles, most recently as Senior Managing Director of Investment Management. In this role he was responsible for managing the Investment Committee process, asset and portfolio management functions. Prior to joining TCC, Mike headed the acquisition and disposition team of the investment management arm of Principal Financial Group. Our Dallas professionals provide experience and expertise in the development, investment and construction of commercial real estate.